Are you beginning to worry about the potential for Katy TX Self Defence Classes? Maybe you’re trying to learn how to properly defend yourself from potential assailants but you just don’t understand where you should start. If you’re trying to find the best courses in Texas and you’d like instructors who understand the art form, we’re here to help. Tiger-Rock Martial Arts is a dojo that you can trust to provide you with optimal training and course packages. Founded in 1983, Tiger-Rock has quickly become one of the most respected names in the business of martial arts. We have over a hundred locations, and we are currently the most popular and respected martial arts franchise in the country. You’re probably looking for a dojo that has a tried and true method of helping their students grow. If this sounds like you and you’re ready to commit to yourself transformation, we can help. 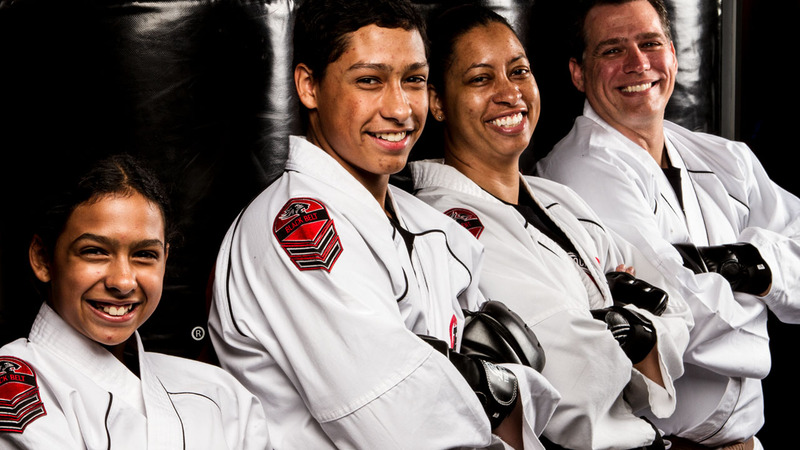 Our instructors are here to push you past your limits and towards being a better martial artist. If you’re beginning to feel like you’re not getting the most out of your physical capabilities, contact us. Self-defense is something that must be taken extremely seriously. In today’s age, you never know when you might need to protect yourself from an attacker. Are you someone who lives alone, and you’re worried about potential break-ins? Maybe you walk home from school and work late at night and you’re always on the lookout for potential threats. If you’re beginning to feel like you don’t have what it takes to protect yourself against these foes, reach out to us. We understand how important it is to be able to help defend yourself on the street at any time. You simply never know what might happen, and it’s important to stay prepared. If you’re beginning to feel like you don’t have what it takes, let us know and we’ll help. Our goal is to prepare you for real-life combat scenarios. If an armed or unarmed assailant comes rushing at you, what are you going to do? You don’t have time to run, you don’t have time to panic, and you don’t have time to hesitate. There’s no way you’re going to be able to call for help in time, so it’s just you and the attacker. If you didn’t have an immediate answer to that, you may want to consider enrolling in one of our programs. Our instructors are always trying to push our students to hit the next level, and our Katy TX Self Defence Classes reflect that. We use hands-on training to make sure you’re getting used to real-life combat. Keep in mind that this may get intense at times, and we don’t want to frighten or discourage anybody. It’s just the most efficient way of making sure you understand what to do in a real-life situation. If you’re trying to sharpen your mind and instincts, this is a great place to train at. In today’s society, it’s important to be able to process things quickly. Not being able to properly process your attacker’s moves can be the difference between life and death. We understand that this is something that not everybody is born with. If you’re currently unhappy with your instincts and reaction times, you’ll need to train them to get better. However, luckily for you, this is where our trainers can come in and provide some guidance. When you’ve got our team of instructors around, you’ll never have to worry about having to figure martial arts out on your own. Did you know that martial arts and self-defense courses can help you grow not just physically, but mentally as well? Discipline, focus, and self-esteem are some of the main things that karate can help with. Are you currently not very confident in your ability to succeed and overcome? Perhaps you’re beginning to feel like you’re not focusing enough at work or school and you’d like to fix it as soon as possible. Whatever the case may be, enrolling in one of our classes can help you sharpen your mind. Furthermore, you can also expect a decrease in depressive and anxious thoughts. We understand that depression and anxiety are currently running rampant in our country. As a result, more and more adults and adolescents are seeking out solutions to these aching pains. If you’re trying to find a healthy way to cope with how you’re feeling, we highly recommend visiting our dojo. Here, you will be able to properly exercise, meditate, and grow in an incredibly healthy environment with a positive atmosphere. Call Tiger-Rock today for more information on our services! When you’re looking for Katy TX Self Defence Classes, you have every right to be overwhelmed. There are a lot of different choices out there, and it’s important to take your time. If you’re ready to figure out what to do to get the most out of your physical and mental capabilities, call us today. Our instructors can provide you with our current class times and give you more info on our introductory course package. We want our students to succeed, and our team is ready to help you do this. Contact us for more details. Are you familiar with Cinco Ranch? This is an award-winning community in the heart of Katy that receives nationwide attention. If you’re looking for a residential area that provides you with affordable real estate and great location, this is the place. We have a number of quality homes that you can purchase for under $200,000! The city of Katy may not be one of the biggest towns in the Lone Star State, but it is one of the oldest. Before we became Katy, we used to be called Cane Island. This was back in 1896. Are you trying to make sure you get the most out of the entertainment in this city? If so, we highly suggest visiting Katy Mills Mall. This is a great shopping center to walk around in if you’re a fan of great food, awesome deals, and a friendly Southern atmosphere.